Like sports, real estate is an industry based on statistics. And like sports, numbers can tell you what’s really happening. This is where the Calgary Real Estate Board has been a leader in the industry. Several years ago it hired a full-time economist to keep closer track on what’s taking place in the local real estate market – and to make some sense out of that data. CREB is one of the few local real estate boards in North America that has a full-time economist on staff and Ann-Marie Lurie has been the organization’s chief economist for the past eight years. “It’s really providing information to the public. Explaining what’s going on in the housing market, looking at our numbers and doing that side of things,” says Lurie. Because of that, Lurie makes herself available to realtors under the CREB umbrella. A big part of her time, she says, is talking to those realtors. She visits individual realtors in their offices and she visits different real estate brokerages around the city. “I’ll talk to them about the market. I’ll explain other tools. I’ll do stats training on how to use stats. How I look at things and how they can take that and apply it. That’s actually more of my job than really some of the public stuff,” explains Lurie, who is often quoted in the media about the Calgary real estate market. Having more informed realtors ultimately benefits consumers in the market whether they are selling a home or buying one. “For consumers, the challenge often is they have a lot of opinions of what’s going on in the market and hear a lot of different information depending on what they read. And I think really what I’m trying to do for the members is provide clarity on what exactly is going on in their local, specific conditions,” says Lurie. 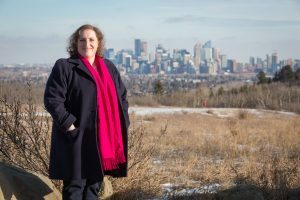 Before joining CREB, Lurie was at commercial real estate firm Colliers International in Calgary where she was involved in assessing large commercial buildings. She has also worked in the past with Canada Mortgage and Housing Corporation doing analysis and underwriting on the multi-family side of the industry. Lurie also was involved in pension investment in the past. 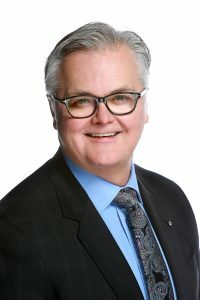 Alan Tennant, CREB’s CEO, says the decision to hire a full-time economist was made before he joined the organization in his current role. “It was rooted in the idea that we wanted to have greater credibility around our economic analysis and better rigour around our reporting to the members and to the public,” says Tennant. “So when I got to know the work Ann-Marie was doing it quickly became apparent that in fact she could be a great resource for us in improving the quality of our data base and cleaning up some ways that we interpreted data that were pretty outdated basically. “For the consumer this means that our approach is to talk about what the market is actually doing and referencing that based on recent history or long-term trends rather than trying to make the numbers say something,” says Tennant. Lurie will be presenting her forecast for the Calgary housing market in 2019 on January 30.